Positive parenting could be practiced by parents at home to get closer with the kids. These tips build bonds to last a lifetime. To spend tech-free time together is more important than ever. The memories you create together will sustain, encourage, and empower the child. A family can hit the life’s blows by having a strong bond within the family. All of us are busy and think that parenting is a natural process that will build the bond on its own. But the truth is that shaping a close connection takes effort. You already do lots of things to express your love but a few fresh tips of positive parenting might be helpful for you. Positive parenting is not only about giving food or education to your child. It is much beyond the basic needs of a child. Parents spend 90% of their time in fulfilling the basic needs of food, clothes, shelter, and education. Play the role of a parent first and then any other role of an educator or a feeder. It is believed that touching your baby at every chance you get builds a stronger bond. The baby knows that you are always present. Skin to skin touch is must for a newborn and it is also helpful in case of an adopted child. Moms who nurse do this automatically. Even if you or your partner are bottle-feeding the baby, pull up the shirt and let your baby lie across your chest or belly. Let the warmth and feel of your heartbeat flow into. Do not leave this habit as your baby grows. They always need your touch as a part of positive parenting. You can act like a mirror to them by imitating. Kids love this and feel as if you are of the same age group. You are a team who loves to do what your kids do. Make funny moments and capture them. When your baby can hold his spoon, let him try to feed you as well. He will definitely enjoy this fun activity. Although it will be messy but trust me feeding each other builds a great bond too. Feeding each other is a part of positive parenting even when your children grow out of your laps. As you do hair care of your kids, let them do the same for you such as oiling or combing. Let them give you a new hair-do no matter how funny it looks, tell them you feel fancy and pose for a picture together! 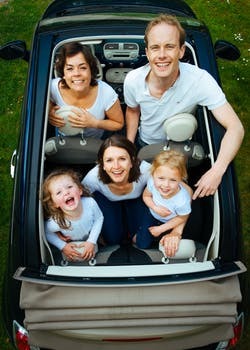 Make funny family videos. Before he goes to sleep, give him a gentle massage even for five minutes. Kids feel calm and sleep better. During the daytime, if kids feel to rub your hands, let them do. Positive parenting also refers to flow the positive energy from your body into your kid’s body. Teach your child to enjoy and get silly in the rain, splash in puddles with you. Do not say ‘no’ if he is enjoying these childhood moments. You should also enjoy together in all forms of play or activities. If you are away, do video-chat before bedtime. 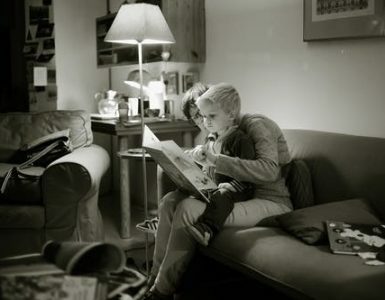 Read a story or sing a lullaby and let him know that you can’t wait to get back home. Ask your child his favorite vegetable or fruit then search together the cool recipes using it as a main ingredient. Involve him in preparations and cooking by taking care of his safety. Let him pretend to be a chef who serves and rate the dish turn wise. Praise them for their behavior and achievements. 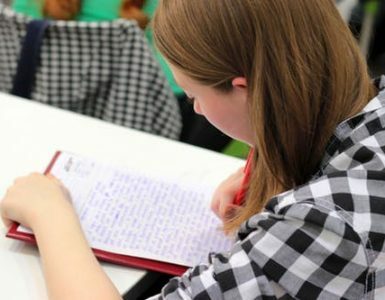 Help your children to maintain a balance between work and play. This will help them to perform better and raise their self-confidence. You can build trust by not making fake promises. If you have made one try to keep your promise. You can also tell them that you are not sure if you will be able to fulfill their wish but you will try your best. So, it will not break their heart at least. 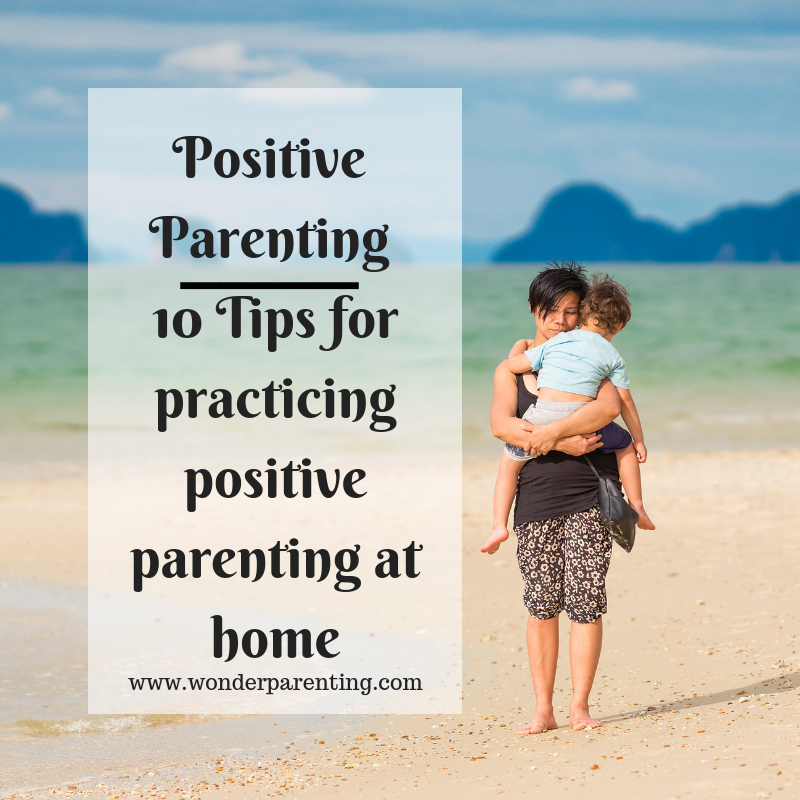 Have more tips to add to the list of positive parenting? Please share with us the positive parenting tips that worked for you or your child in the comments section below. Wish you a very Happy and Positive Parenting!